Experience - Schaffer International Services, L.L.C. Schaffer has been the leading provider of project development, design and project management services to the worldwide sugar and related agro-industries since 1955, completing over US $ 5 billion in successful projects. The group has delivered over 900 projects completed in more than 60 countries to a client base spanning both the public and private sector. Schaffer possesses a clear understanding of the critical difference in succeeding in a developing country’s business environment and has a record of proven success in providing integrated services to its clients. An intimate knowledge of financial structuring and the identification of applicable financing and funding structure has proven successful due to the recognized relationships with private sector and traditional worldwide funding institutions. 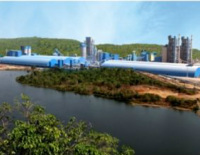 Proposed Project Objective: a reliable, affordable, sustainable and environmentally responsible power supply in Liberia through all stages of development and project preparation, financing, construction, commissioning, operation and maintenance of a 36 MW power plant fueled with wood from redundant unproductive rubber trees, together with installation of a 66 kV transmission line. The proposed project was structured with private equity and OPIC debt financing. Schaffer provided pre-project development studies, basic project design, environmental and social impact assessments and management plans, permitting applications, financial package assistance, and preparation of international tender documents for EPC contracts and tender analyses and evaluation. The Kenana Sugar Company Factory commenced operations in March 1980. Schaffer was responsible for the design, engineering and construction management for the factory construction and erection between 1975 and 1979. Thereafter, Schaffer provided an operations management team for harvesting, transport and factory between 1979 to 1984. From 1984 until sanctions were imposed, Schaffer participated in the designing and engineering of all subsequent expansion programs. A Grass Roots Development– MaliProposed sugar /ethanol/cogeneration project consists of a sugar factory of 8,000 MT cane per day design capacity located on 15,000 Ha of irrigated cane land in the Segou region . Total annual cane production projected at 1.53 million MT; production – approximately 195,000 MT sugar/year; 25 million liters ethanol; 30 MW power. Mali Assessment for Cogeneration from Rice Husks with US AID funding, cost shared by Schaffer and Louisiana State University Agricultural Center, an assessment was carried out and presented to potential stakeholders in Mali. The assessment determined that the establishment of a power plant to utilize rice husks to generate electric power in Mali’s growing rice sector should be explored further. It was determined that a definitive feasibility study should be conducted if economies of scale could be reached in a large milling facility. The Finchaa Sugar Factory (FSP) commenced operations in January 1998. In October 1994, Schaffer was awarded the contract for the turnkey design, engineering, procurement and construction of the Finchaa Factory, a 4,000 tons cane per day sulphitation sugar plant expandable to 6,000 tons cane per day; a 7.0 MW cogeneration facility expandable to 10.5 MW; and a 45,000 liter per day anhydrous ethanol plant. The engineering, design and procurement began in February 1995 and site work began in April 1995. The first cane was ground in late January 1998 and commercial operations commenced at that time. Schaffer continues to provide procurement and expediting services as needed. This sugar refinery is designed to produce over 550,000 tonnes per year of refined sugar, from imported raws. Services Provided: refinery commissioning; plant modifications – design and implementation; technical management team to assist in operations, optimization, and technical assistance. Procurement and expediting services were conducted for this facility on an open book basis for many years.